People in my lab collaborate with several groups inside the Institute, including the Gray, Thomas-Voss, Blewitt, Wicks, Labat, Huang, Majewski and Roberts labs. We also collaborate with groups outside the Institute, including those of Dr Sherene Loi, Dr Sarah Russell, Dr Ygal Haupt and Dr Sue Haupt from the Peter MacCallum Cancer Centre, Professor Susan Clark of the Garvan Institute, Dr Alex Dobrovic of the Olivia Newton-John Cancer Research Institute, Dr Alysha De Livera and Dr Heejung Shim of the University of Melbourne, Dr Agus Salim of LaTrobe University and the Baker Institute, Professor Damien Hicks of Swinburne University, and Professor Jean Yang of the University of Sydney. 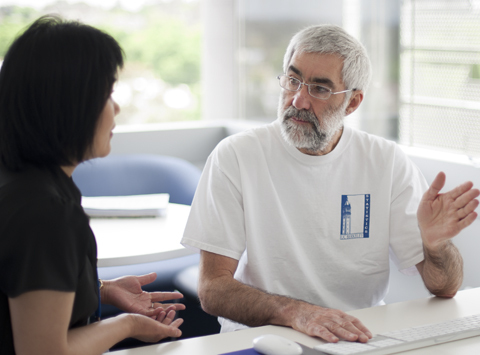 Bioinformatician Professor Terry Speed awarded the Eureka Prize for Leadership in Science.